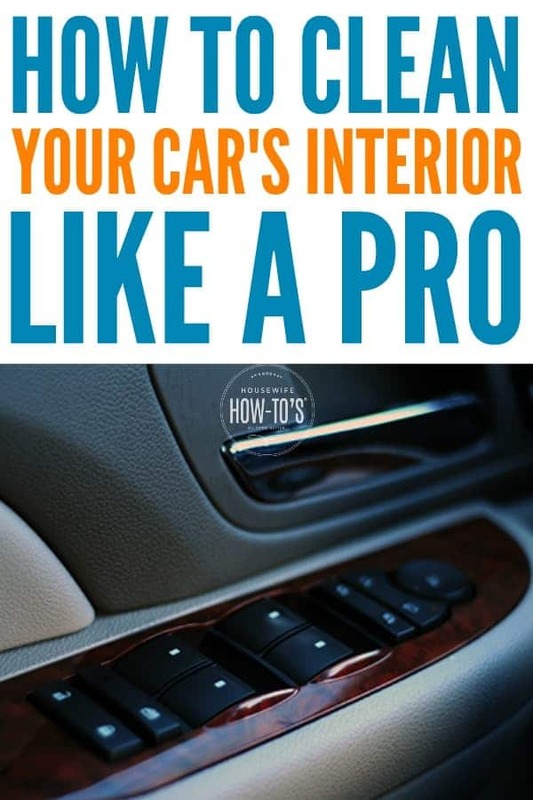 Knowing how to clean your car’s interior like a pro will make your daily commute so much more pleasant. It just takes a few hours one sunny afternoon. Follow these steps in order, and you’ll feel like you’ve got a brand new ride. I used to give very little thought to my car’s cleanliness. After all, I was only in it to drive my kids to and from school and maybe run a few errands on the way. Then one hot summer morning I opened my car and was immediately greeted with what I can only describe as a noxious cloud of horrific odors – the result of leaving food wrappers, half-empty cans of pop, and all sorts of other trash on the floor of my car. Why on earth was I starting my day like that?! So, I took it to a detail shop. A full day later, I went back to pick up my somewhat clean car and drove away close to $200 poorer. What hurt even more than spending so much money was the knowledge that I probably could have done it myself if I’d just done a little research. Rather than spending that kind of cash at least twice a year for a less than satisfactory job, I set out to learn how to clean a car interior better than that professional “detailing” service. Now I’m going to share what I’ve learned with you. Put all garbage in the first bag and throw it away. In the second bag, gather up any items that don’t belong in your car and set the bag aside to deal with later. 1. Using the upholstery attachment, vacuum the floor mats then remove them and set them aside. Vacuum the ceiling of your car (especially important if you’re a smoker), the car seats, under the seats, and finally the floor. 2. Using the crevice attachment, clean between the seats and console, under the seats, around the edges of the seat rails and all other areas where food and dirt hide. 1. Using the brush attachment, vacuum the dashboard, the console, the inside of all cup holders and all other surfaces where dust collects. 2. Fill the bucket with warm water and add a few drops of liquid dish soap. Dip a microfiber cloth into the bucket and wipe down the dashboard, steering wheel, console, door handles, and all other non-glass surfaces. Be sure to rinse and wring the rag frequently, so you’re not just smearing dirt around. Switch to a clean cloth if the one you’re using starts to look dirty. 3. Inspect the floor for stains. Remove them with warm, soapy water and a cleaning cloth. Use the scrub brush on difficult spots. Dab dry with a clean towel. 4. Clean stains on upholstery with rubbing alcohol and a clean cloth. Rinse with a damp cloth to remove any lingering smell. 5. Hose off the floor mats in your driveway. Treat stains with soapy water and a scrub brush. Allow them to dry in the sun. 6. Use glass cleaner and a clean, dry microfiber cloth to clean fingerprints and haze from the inside of windows. Polish any chrome surfaces, too. 7. Return dry floor mats to the car. 8. If you like to use a product to shine your car’s dash and interior surfaces, now’s the time to apply it by spraying it on a lint-free cloth and wiping it onto the surface to be treated. Buff to a shine with a clean, dry cloth. Make a habit of stashing a couple of empty of plastic shopping bags in your car to hold trash, muddy shoes, and items that don’t belong in your car. It’s also a good idea to keep a couple of clean microfiber cloth in your console to deal with future spills. 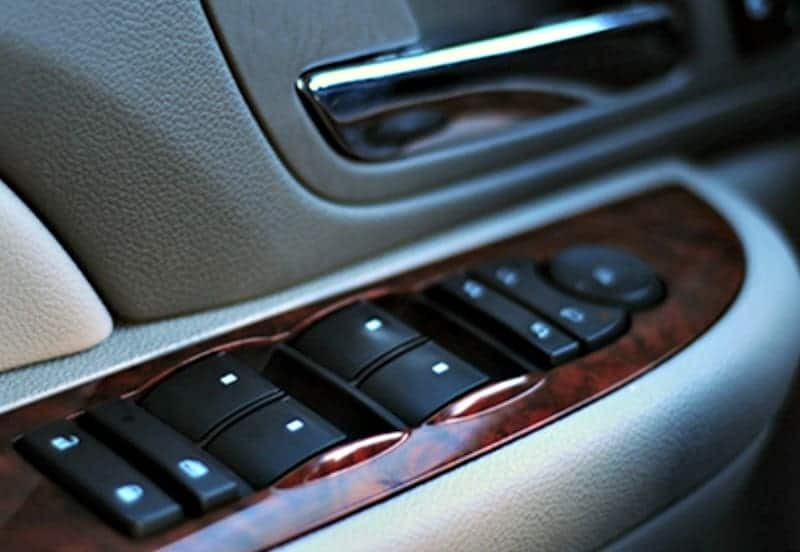 You can even use them to dust the dash when you’re stuck in traffic. I always put a plastic bag with one handle over the shiftstick. That way it is always open and ready for garbage. Maybe a food idea? Very good article, I use Gain laundry soap on my upholstery and then my carpet , I do the worst area last, and dry it as I go with old towels, smells great for a long time. Comes very clean as Gain is designed for different fabrics. I picked Gain because I like the smell Best. The car needs overnight to dry out. Super clean result. Use same amount as a load of laundry and 3/4 bucket of warm water., A 2 gallon bucket would have 1and 1/2 gallons of water. A good size scrud brush is recommended and 6 towels.unless you have a wet and dry vacuum. I bet your car smells lovely! Me too! 🙂 You have such great printables that even my kids can do it. I’m so happy ( relieved ) to know there are others that like a clean car. I have a plastic tub on the floor of the back seat where Incan put any trash I get during the day in my car. I empty that as needed. I keep napkins in my glove box bc you just never know when you will need them and they do come in handy. Every day when I get home I take out everything that doesn’t belong in my car. I have a hand vac that I use weekly on the seats and floor. I wipe down the dash and anything else as needed. This sounds like a lot but really probably only takes ten minutes . I do love a clean car. I’ll add that to my To Do list! I like to keep a box of used plastic grocery store bags in the trunk. I can use them to clean out the car or take them to Aldi’s when I forget to take my reusable ones. I take an empty square tissue box and stuff them all inside till it is packed. Use them as needed and easy to store away when not in use. That’s a very clever idea! I forget my bags half the time when I go to Aldi’s, and having a garbage bag on hand would certainly keep my car neater. Thank you! Just copy and paste it onto a Word document then done. The 5th sharing button from the left is “PrintFriendly”, so you can print just the body of the entry if you like.